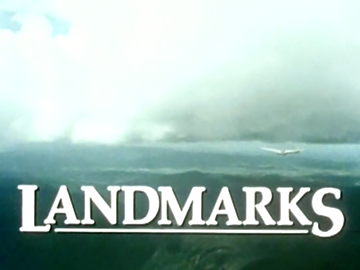 Landmarks was a major 10-part series that traced the history of New Zealand through its landscape, particularly the impact of human settlement and technology. The concept was modelled on the epic BBC series America. Here a bespectacled, Swannie-wearing geography professor, Kenneth B Cumberland, stands in for Alistair Cooke, interweaving science, history and sweeping imagery to tell the stories of the landscape's "complete transformation". It received a 1982 Feltex Award for Best Documentary and the donnish but game Cumberland became a household name.